If you are interested in Serbian residency, you do not have to wait for the Serbian investment citizenship program to start. If you have a feasible business idea, you can also set up company, and apply for residency based on company operation. If you operate a company in Serbia, you become eligible for Serbian residency based on the company’s steady activity. Moreover, your family members (spouse and underage children) can also join you with the family unification procedure. On the one hand, this program is more cost-effective than investment citizenship, since you can get a company going for a fraction of the cost. On the other hand, it is more work-intensive, since you have to operate a company in a way that it remains feasible – as long as you want to keep your residency. While operating a company in Serbia requires more work on your side than just making an investment, this work can be reduced significantly if you choose the right partners to help you with the paperwork, this way you can focus on the development and growth of your Serbian business. Apart from the above, you might need some additional services. We are also happy to help with these. Accountancy and bookkeeping – so your company remains at all times compliant with local regulations. Housing search: You will need to specify a Serbian address when applying for residency. We can help you find an appropriate accommodation for yourself and your family. So, do you want Serbian residency? 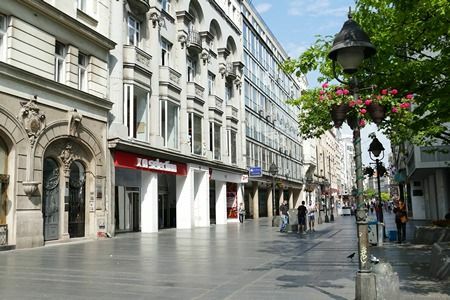 Make an investment is Serbia: start a company and get residency for yourself and your family. Just decide what business you want to do, and leave the paperwork to us.